House decides to make aid to Palestinian Authority conditional on the implementation of programs against incitement. US aid to Israel for 2014 was restored to its pre-sequester level of $3.1 billion in the spending bill passed by the U.S. House of Representatives Wednesday. The amount is in line with a 2007 10-year memorandum of understanding that guaranteed Israel an average of $3 billion a year in assistance. Aid to the Palestinian Authority was conditioned on its not running to the United Nations for recognition. Also in the bill is $268.7 million in funding for U.S.-Israel cooperative anti-missile programs. This is not considered assistance because Israel contributes to the programs. The annual US assistance, too, has strings attached: it is conditional on the money being used for purchasing weapons from the US. The $1.1 trillion bill passed Wednesday is the result of a deal brokered last month between Democrats and Republicans, who have been fighting over the spending bill for months. It restores about half the cuts made in the “sequestration,” the across-the-board 8 percent cuts which by law went into force in March, when Congress failed to agree on a budget. The bill also makes the $400 million the Palestinian Authority (PA) receives in annual assistance dependent on programs against incitement, and cuts off aid to the Palestinian Arabs if the PA takes further steps to secure statehood recognition at international bodies. The American Israel Public Affairs Committee praised the passage. 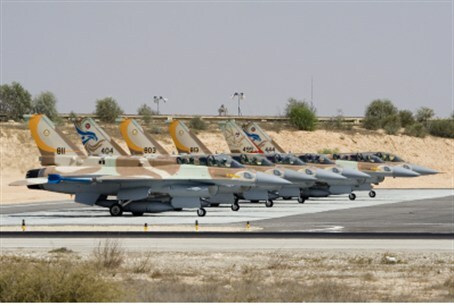 “These funds fully meet America’s commitment in the U.S.-Israel Memorandum of Understanding, helping our democratic ally meet critical defense needs during this period of heightened regional instability,” it said in a statement. The Senate is due to consider the spending bill later this week.